Reputable Developer: Ananda has over 16 years of history and is one of the best known property development brands. Easy Access: Ideo O2 is located Next to BTS Bangna station, the Bangkok International Trade & Convention Center (BITEC) and Bangkok Mall*, the upcoming shopping mall and lifestyle. Next to the expressway, convenient for access to the central Bangkok. Wild Bike Park: 700 meter bike track surrounded by green space over 5,000 sqm., enjoy riding with extreme design certified by Peppermint Bike Park, a famous bike park in Bangkok. Private Nature Jogging Track: Enjoy jogging among nature scene and breathing the fresh air. Airy Space Futsal Field: Differ soccer game, a new experience with unique standard futsal field. Ultimate Connecting Pool: Relaxing in the 3 connecting pools with 200 meters like swimming in the natural lake. Let’s explore different styles of each concepts, Aerial Lagoon, Ozone Creek and Oxy Cascade. Co-working Space:A special space with internet WIFI, working among nature scenery to make you inspired and created more experience. Get a unit near IDEO O2 Ananda Now !! Find out more !!! These days moving house is a part of everyday life for most of us. And many individuals have actually discovered that they constantly deal with tiredness as well as undesirable troubles developing from moving process like damages or losses. Consequently, moving is a tiring life event strained with thousands of small details that require our attention. With the following tips, you will only be a couple of steps from having an easy relocating experience. Do up a Checklist and go through with your movers. -Does it need to be thoroughly cleaned (walls, floor, furniture)? -Do the holes in the wall left by mounted picture frames, need to be patched up? Does it need cleaning (before and after move)? Does it need any specific made-to-measure or built-in gadgets or furniture? Will you need temporary storage before moving to your new location? Will you need long-term storage? Electrical (power points, lights, fans installation etc) needs? The fewer trips back and forth, the lower your moving costs become. Never ask the mover how many trips they’ll need; that’s like asking an insurance salesman if your policy is adequate. Estimate the number of trips (look at their truck) and say something like: “Can you do it in three trips or less?” They might “recommend” you do an extra trip “to be safe”. The answer is no. If they think they can do it in three trips, that’s how many they should make. Your estimate may be a bit off, but once you’ve talked to the first two or three companies, you’ll have a better idea. If you have a car, also consider putting as much stuff into it as you can. The petrol cost might be less than the cost of the movers making another trip. 3) Are you able to move into the new house before vacating the current one? So many people who have sold their houses, are often left in a lurch because their new house isn’t ready yet. It may be a few days or weeks, but it is a real problem – where are they going to keep their furniture for such a short period? The Mr Mover and Mr Storage Team provides a solution that is helping hundreds of families every year. Their team provides short term storage, without any admin fee, deposit or worry about space needed. 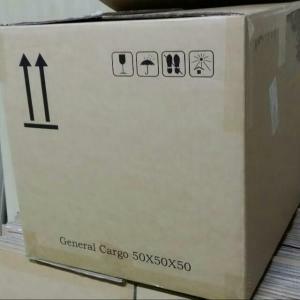 Their team will move all your household items to their Storage facility – They will take care of the carton boxes that you need, the dismantling and wrapping of furniture. Once you are ready, just call them, and they will re-deliver your items to your new home, reassemble the furniture and unwrap all your items. These are the most common hidden fees amongst Singaporean movers. If they admit they’ll include these, get them to factor it into their written quotations. The next company you meet might try to undercut them. From only THB5.5M / S$220K! Own from just $66K Cash! First Global Launch in Singapore! Secure Your Choice Unit Now! IDEO Q Chidlom-Phetchaburi is the latest new launch by Ananda, one of Thailand’s most established developers. Standing super tall at 42-storeys, IDEO Q Chidlom offers the ultimate luxury lifestyle condominium with 352 exclusive residential units that will enjoy opulent facilities located on the top 3 floors (Levels 40 to 42) offering breathtaking unblocked views of the Bangkok cityscape. SMS ‘IdeoQChidlom’ & YOUR NAME TO Alvin Tay (+65)91259978 or simply click the button on the right.. Approximately 650 meters or about 6-minute walk from the centrally located Chidlom BTS station. Within 2 to 3 stops from Bangkok’s high-end shopping malls, including Siam Paragon, Central Embassy, Central Chidlom and Terminal 21 at Asoke and MBK. Get a unit near IDEO Q CHIDLOM Now !! Find out more !!! 2. Expansion of BTS network – currently around 68 stations, expanding to about 119 stations by 2016 and about 307 stations by 2029. Enjoy the First Mover Advantage now! 3. Reputable Developer, Ananda founded in 1999. Invest in IDEO Q Chidlom-Phetchaburi, the Most Elegant Apartment by Ananda To-Date FREEHOLD! Only 650m / 6-minute walk from Chidlom BTS Station From only THB5.5M / S$220K. Own from just $66K! SMS/Whatsapp “IdeoQChidlom” / CALL +65-91259978 or email: alvintaykongwei@gmail.com or simply click the button on the right. Come See 4 exciting sure-sell Bangkok projects in PropertyGuru Emerging Markets property expo this weekend! 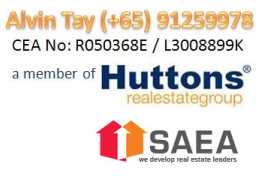 -Attractively Prices from S$69K Only! More Info About Property Guru Emerging Markets Property Talks. Investment prospects for properties in emerging markets such as Thailand, Vietnam, Cambodia and Philippines have tremendous advantages and strong financial returns – in some cases, surpassing even those in established ones. Unprecedented growth of the property sector in these countries is expected to continue within the next five years, opening doors for new opportunities and challenges for investors. And with prices starting from as low as SGD 105,000, it is no wonder they are willing to take the plunge! Inaugural two day PropertyGuru Emerging Markets Property Show allows you to navigate the market intelligently and enjoy first mover advantage while avoiding the potential risks in order to make a sound investment in this exciting environment. Sign up to attend and receive $800 worth of shopping, F&B, furniture and spa vouchers at the door! Keen to know more about investing in Bangkok ? SMS/Whatsapp “BKKTalk” to +65-91259978 or simply click the button on the right. Named after ‘verde’, which means green in Spanish, Vista Verde showcases lush green landscaping and features designed to bring a symphony of nature to residents. Vista Verde Vietnam is strategically located in Thanh My Loi Ward, in the heart of District 2’s administrative center. It is five minutes away from essential amenities such as Metro Hypermart, Parkson Department Store, Lotte Cinema, Phuc An Khang Hospital, and prestigious international schools such as ACG International School. Vista Verde is 10 minutes away from District 1 and 7, with excellent connectivity via the Thu Thiem Tunnel, Thu Thiem Bridge, Saigon Bridge and Phu My Bridge. The project is expected to complete towards end of 2017. Vista Verde provides residents with state-of-the-art recreational facilities such as an iconic gym and clubhouse with 360° view, resort-style swimming pool, lounging islands, jogging track, and tennis court. In addition, a shopping town at the ground floor provides residents with essential retail shops their convenience. Vista Verde has over 30 unit types available in quality finishes, including special units such as duplexes and units with PES. Designed for modern living, units in Vista Verde are designed with spacious living and dining areas, natural ventilation and loggia. In 2015, Vista Verde received two honorable awards: BEST CONDOMINIUM IN VIETNAM by Asia Pacific Property Awards and BEST LANDSCAPE ARCHITECTURAL DESIGN by Vietnam Property Awards. With the determination to deliver a product which exceeds customer expectations, Vista Verde is unveiling the Orchid Tower – the most premium tower of this residential project with selected exclusive unit for Singapore Buyer. This tower is the only tower where majority of units have a spectacular view of Saigon River and panoramic scenery of District 1, 2 and 7. Carabelle Condo is a 999-years leasehold development located at West Coast Way in District 05 near Clementi MRT station. Its stands 12 storeys high and comprises 338 units. The development was completed in 2009 with Ayer Rajah Market and West Coast Market close by. Carabelle has a myriad of facilities, which includes a lap pool, recreational pool, BBQ pits, gym, fitness corner, tennis courts, basketball practice area, jogging track, Jacuzzi, clubhouse, a pavilion, function room, and a playground. Carabelle is located minutes away from Clementi train station and there are several bus services available near the development. Several schools are located in the vicinity. Residents can get their necessities at the upcoming Newest Retail and west coast Drive Market which are located just a short Walk Away. In addition, several restaurants are located nearby. Recreational facilities nearby include the West Coast Park and Pandan Reservoir Park. It is also within distance to to the upcoming CBD – Jurong Lakeside District and close by to upcoming High Speed Train to Kuala Lumpur. For vehicle owners, it takes about 20 minutes to get to the business hub and the vibrant Orchard Road Shopping district.